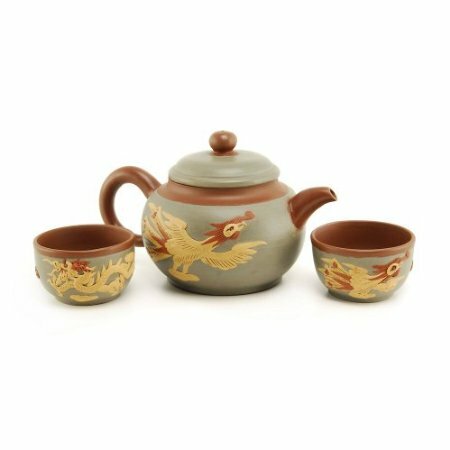 Made of Chinese clay, this teapot absorbs the flavor of tea and enhances every cup. It holds 16 ounces of water and comes with two 4oz Yixing cups. What really makes this teapot stand out though, is the folk art design of a Phoenix and Dragon which represents Yin and Yang, symbolizing strength and beauty, respectively.